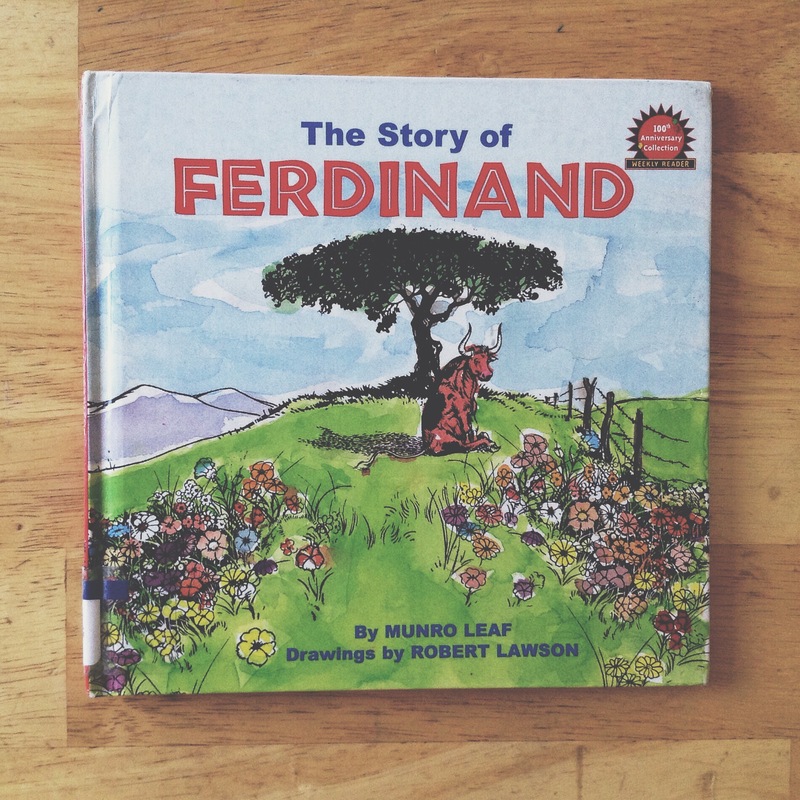 Main Characters: Ferdinand the bull. Short Synopsis of the Story: The story is set in Spain. Ferdinand the bull is a placid creature. When his fellow bulls are busy playing aggressive games and fighting with one another, nothing pleases Ferdinand more than to sit quietly by himself and enjoy the scent of the flowers. One day when Ferdinand is much older, several men arrive form Madrid to pick a bull for the fighting. They try to pick the most aggressive bull. On that particular day Ferdinand gets stung by a bee and jumps up and down like crazy. The men from Madrid think he will be the perfect bull for the bullfight and pack him into a cart to be taken to Madrid. On the day of the bullfight, the stadium is packed with excited onlookers. The Banderilleros, Picadores and Matadors enter the stadium and are shivering with anticipation and fear. At last Ferdinand emerges into the ring and to everyones surprise sits down quietly and sniffs the fragrance of the flowers in the ladies’ hair. There is no bull fight that day and Ferdinand is escorted back home where he continues to lead a peaceful life. Favorite Part of the Story: The message of non- violence is an important one to be taught to children from an early age but I think the concept of bull fighting was beyond the scope of my three year olds understanding. Nevertheless, a worthwhile read to go back to in a couple of years I think.